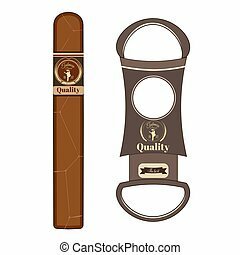 Cigars and guillotine. vector illustration on black background. 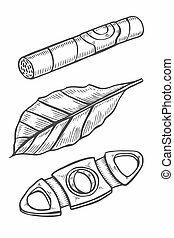 Cigars and guillotine, leaves of tobacco. Smoking set. Sketch engraving style. 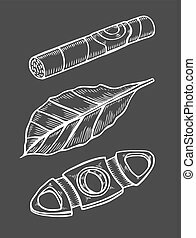 Cigars and leave of tobacco. Smoking set. 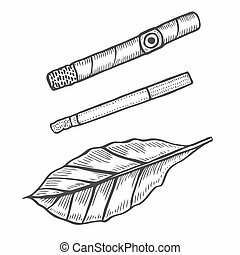 Sketch engraving style. 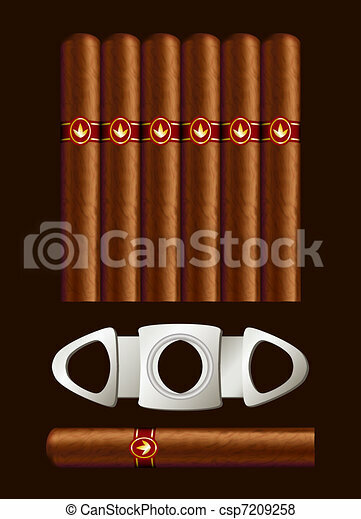 Cigars with metallic lighter and guillotine tool vector illustration set. 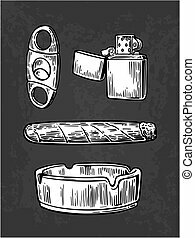 Lighter, cigar, ashtray, guillotines for cigars. 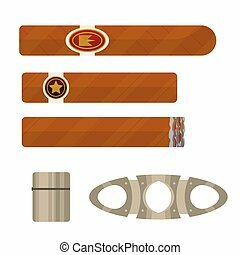 Set of vintage smoking tobacco elements. Vector vintage engraved black illustration isolated on dark background. 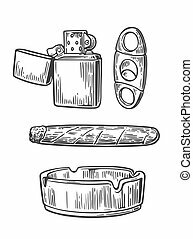 Lighter, cigar, ashtray, guillotines for cigars. 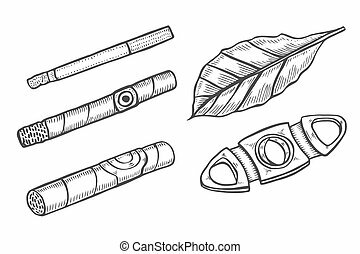 Set of vintage smoking tobacco elements. 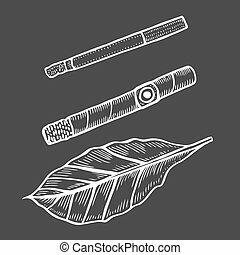 Vector vintage engraved black illustration isolated on white background. 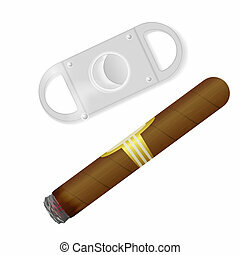 Vector illustration of cuban cigar with label and cigar cutter isolated on white background. Flat style design.